On Thursday April 18th, 30 students from BIA and IMA (Information Management Association) went on a company visit to d60 in their new office in Aarhus. 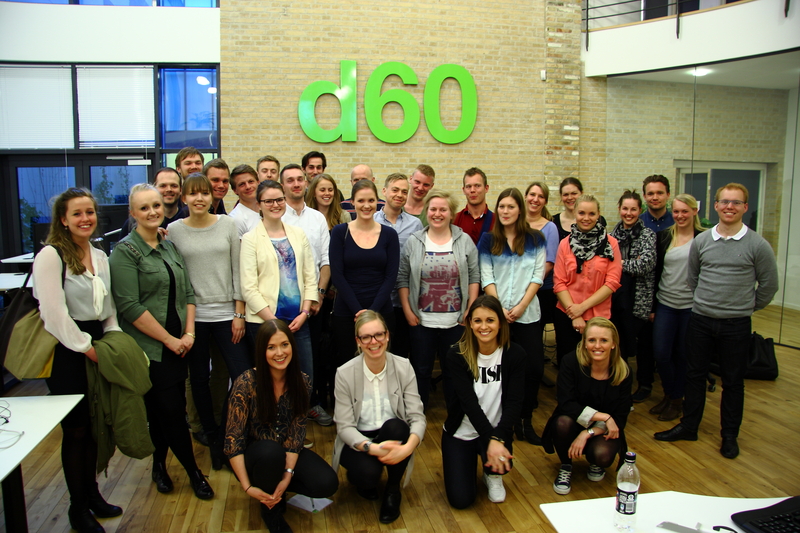 d60 is a successful Danish BI consultancy firm specializing in both software development, business intelligence and analytics. At d60 we were welcomed by HR coordinator Pernille Benkjer and the newly hired communication consultant Heidi Reidel Sørensen. First up on the agenda was an introduction to d60. This introduction included company history, presentation of the kind of products that d60 offers, and a presentation of the company culture and what it is like working at d60. From a student perspective it was very interesting getting to know more about what kind of company d60 is as well as how they are handling being a growing business. Next up on the agenda was presentations by two d60 employees. The first presentation was by BI consultant Casper Rønnow, who presented a very nice power point show about his everyday work and how he enjoyed working at d60. The second presentation was by project coordinator Mette Aagaard Rasmussen. Mette presented what it entailed being a project coordinator at d60 and she gave some very useful advice on how to get a job as a newly graduate. The rest of the day was devoted to working on a mini BI case. The case was presented by BI consultant Astrid Graversen and afterwards all students were divided into groups of three to work on the case. At 18 o clock we all had a break with some pizza and beverages, and afterwards we continued working on the case. While doing group work on the case, employees from d60 helped us and answered all the questions that we had. The final point on the agenda was a presentation of the case solution. The presentation was divided into two parts. First up was a newly hired BI trainee who presented the solution that he had worked on during his introduction days at d60. Next up Astrid presented another similar solution to the case and answered some final questions. All participating members of BIA thanks d60 and their employees for hosting a very interesting and educational company visit. Furthermore we thank IMA for working together on arranging the company visit.